Hiromi has more than 15 years of work experiences in Russian business operations and accounting both in Moscow and Tokyo. Her diversified work experiences in Moscow are at Ernst & Young CIS and ANO Japan Center (non-profit organization supported by the Japanese Government). 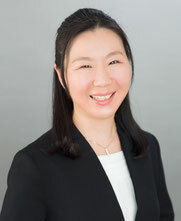 She also has experiences in accounting for food service industry at LOTTERIA Co., Ltd. (a group company of LOTTE Co., Ltd.) and accounting for real estate services at Japan Post Holdings Co., Ltd. in Tokyo. She joined Minato Consulting Inc. in 2012, currently she is in charge of global compliance and reporting for the Japanese client. Hiromi holds a BA degree in Economics from Aoyama Gakuin University and a Master degree in Political Science from the Moscow State University named after M.V. Lomonosov.